Facebook Gaming Alerts for Stars, Shares, Supporters and Likes Are Now Available! We’re happy to announce that select products support Facebook Gaming Alerts! This means you can show notifications on stream for your likes, shares, supports, stars, and more! Current a few of our designs support Facebook Gaming alerts completely, and we’re working hard to add more each week. To find out the full list, you can click on this link, or sort by Facebook in the shop. How Do I Setup Facebook Gaming Alerts and Notifications? If you’re new to the streaming world, setting up your channel can be quite a challenge. We’ve worked with streamers for the past 6 years and have always done our best to make setting up our products as easy as possible. Follow the step-by-step instructions below to get started, and to be on your way to having a better looking stream! 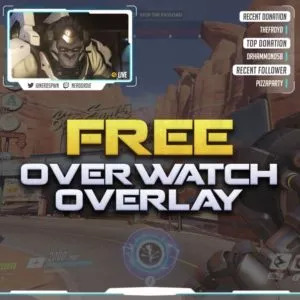 Sign up for Streamlabs.,This is currently the only place we know of that supports Facebook Gaming Alerts and Notifications. Streamlabs will be used to drive the alerts and interactive elements in your stream. For this guide, they will be used as your notification platform. Connect Streamlabs with Facebook Gaming. Under settings > account settings you will find a connections tab that let’s you connect your Streamlabs account with Facebook. This will enable Streamlabs to push notifications when you receive shares, likes, supports, stars, and more! Download and unzip one of our products. As I mentioned above, these products support Facebook Gaming. There are premium and free alerts that you can use from our website. Once you’ve found the right fit for you, download and unzip the product somewhere onto your computer. Click the import link in the product folder. Now that you’ve got the product unzipped, you can quick one of the “Quick Install” guides. While the wording may vary slightly in different products, you should be able to find a quick install link that will automatically bring you to Streamlabs. Select a theme to import the alerts into. Our quick-install link will automatically bring in any files and code that you need. Once you”ve clicked the link and you’re brought to the Streamlabs page, you’ll find that can select “USE” on any widget profile you’ve created. This will import our designs to that profile. Generally we recommend that you create a new widget profile for this process, so that you can save any of the default or custom designs that you’ve used in the past. Customize your alerts. Depending on the product you’ve selected, you’ll be able to further customize your alerts. Please refer to the product’s read me guide for more information about this. Add your alerts into your streaming software. With everything set up, we can now bring the alerts into you streaming software. This means software like OBS Studio, XSplit, Streamlabs OBS, and more. You can do this via the Browser Source option in your streaming software. This basically means you’re opening a web page in your streaming software. The webpage that you’re opening will be your Widget URL link found in Streamlabs. You can customize the width and height of this source as well, to better fit your stream design. Note: We quickly want to mention that the Streamlabs notification platform will work with all other types of streaming software. Test your new Facebook Gaming Alerts. In the Alert Box section of Streamlabs you will find buttons that allow you test your alerts. Click these while watching your software to make sure each alert works as intended. 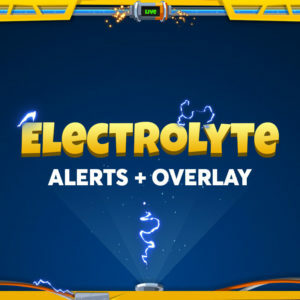 Looking for some free Facebook Gaming Alerts or Notifications? Don’t worry, we have you covered! Our Free Alert Maker now fully supports Facebook Gaming. Create your own minimal alerts for Twitch, YouTube Gaming, Mixer and more! This alert system uses Streamlabs and allows you to edit almost everything about it!